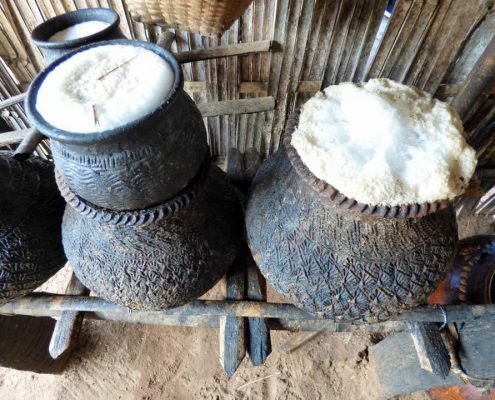 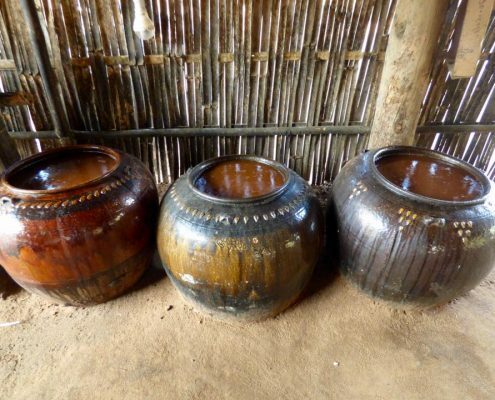 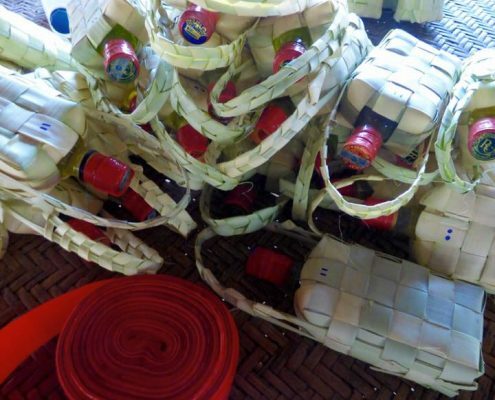 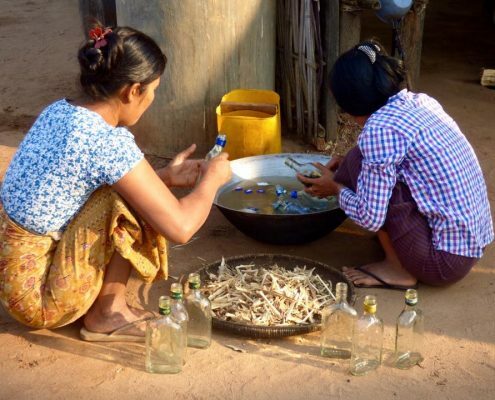 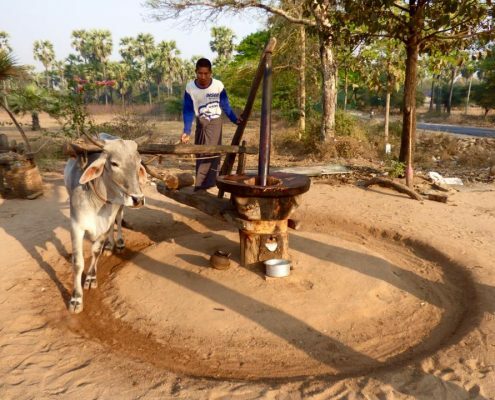 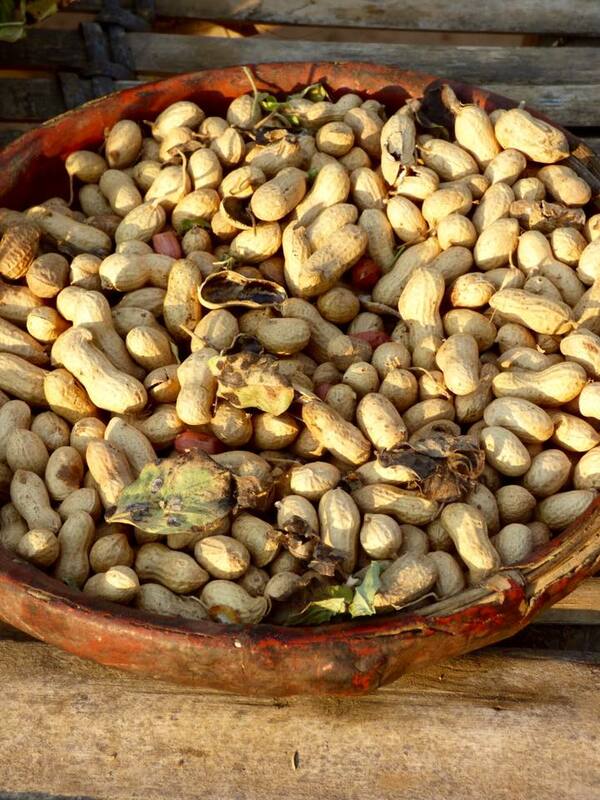 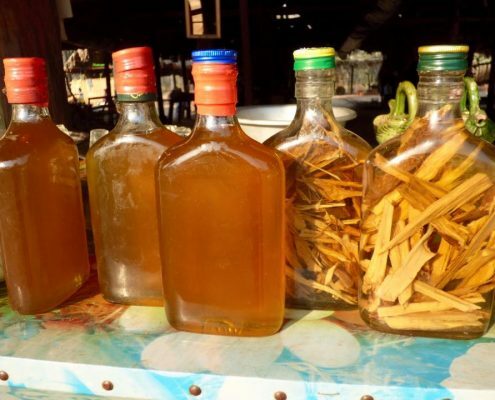 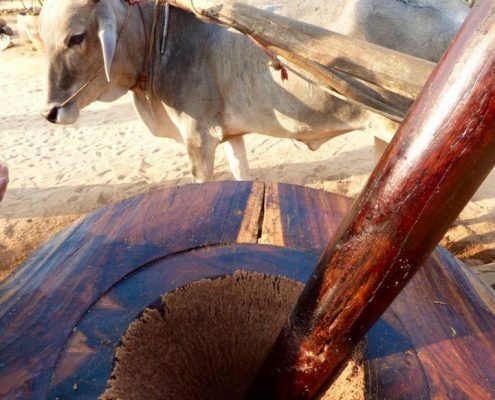 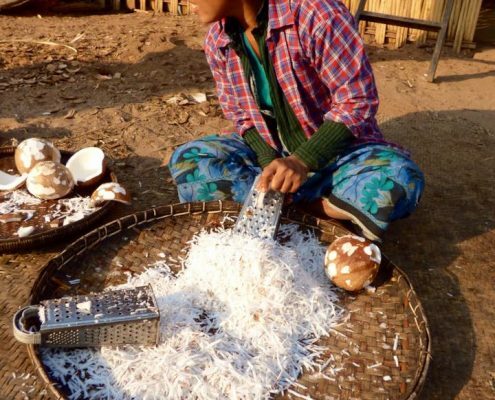 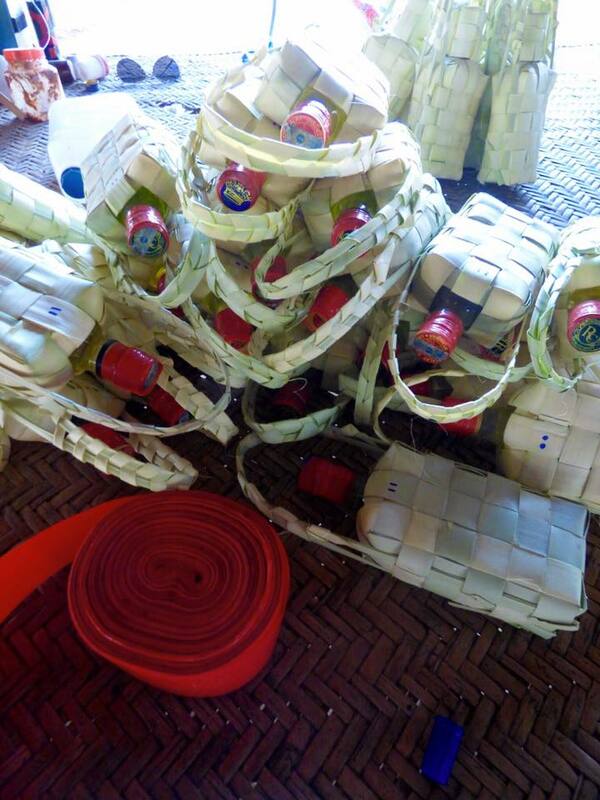 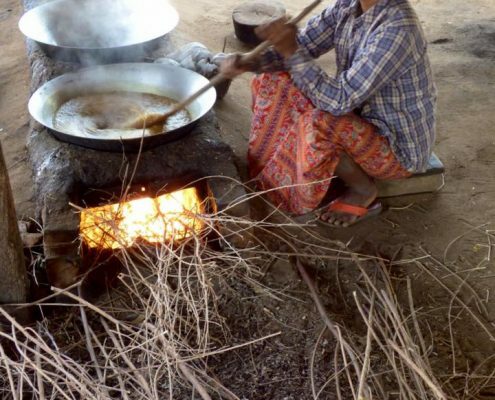 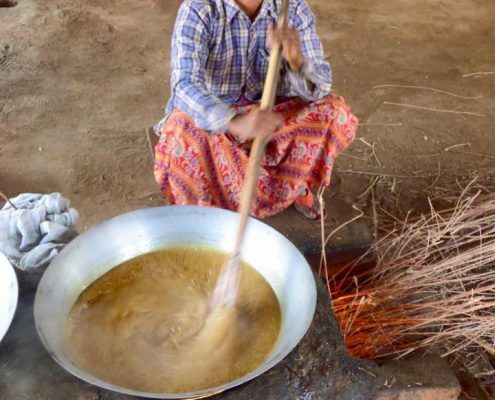 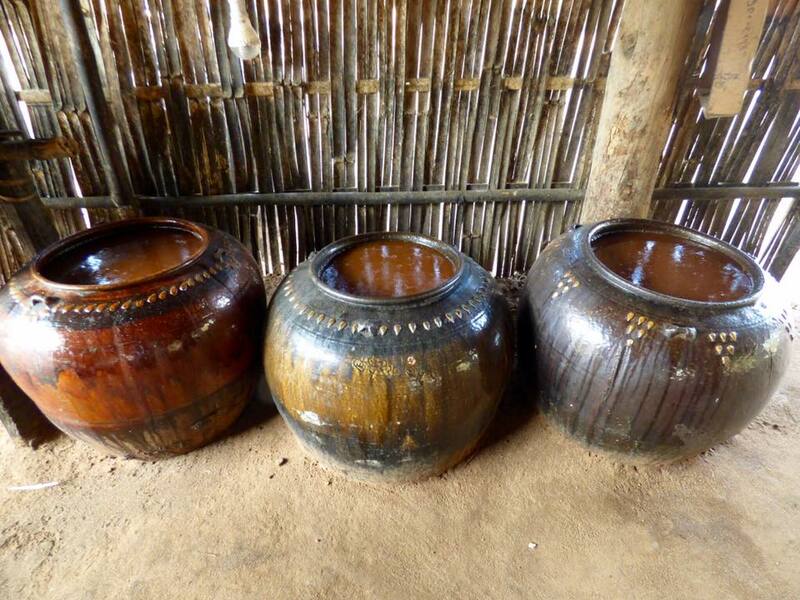 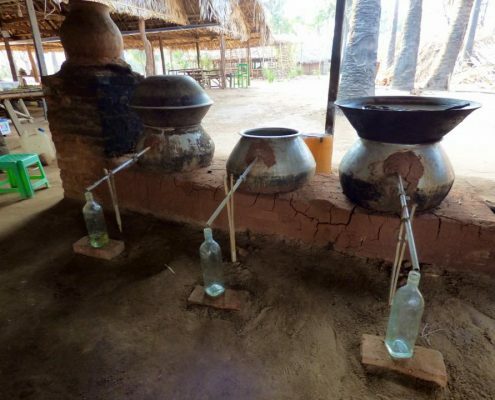 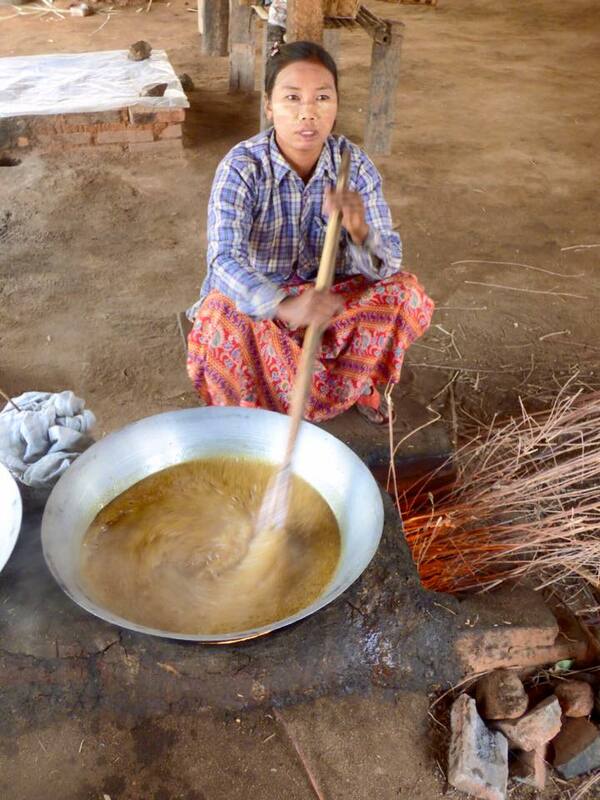 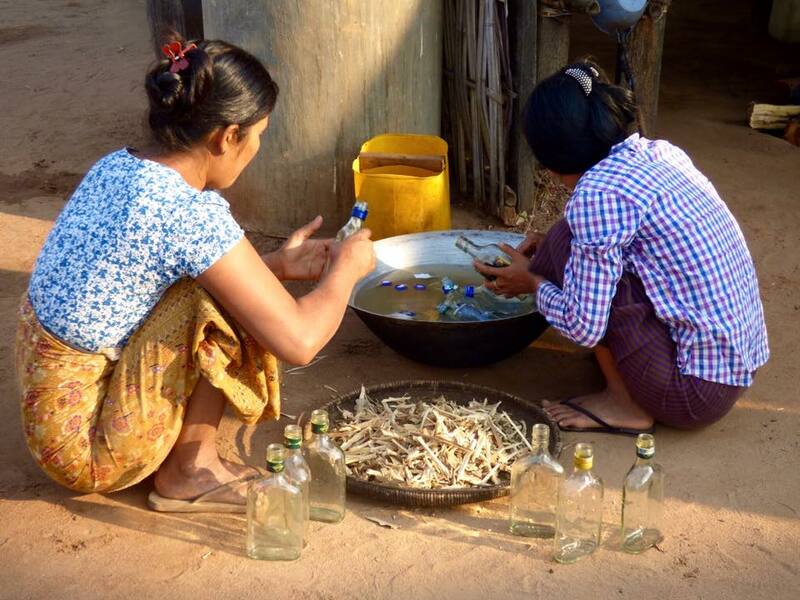 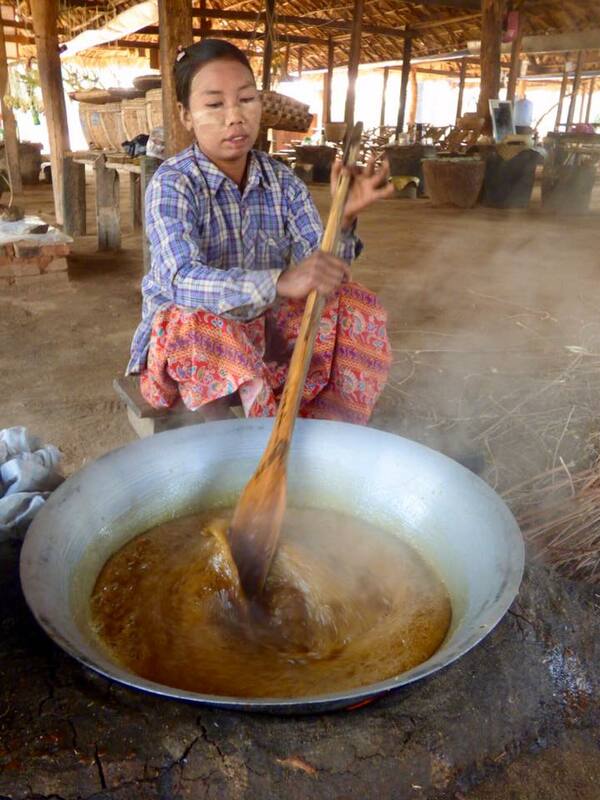 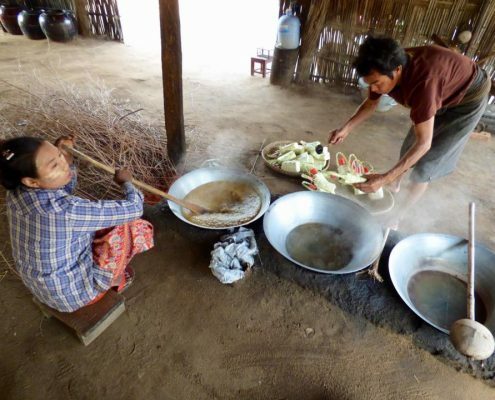 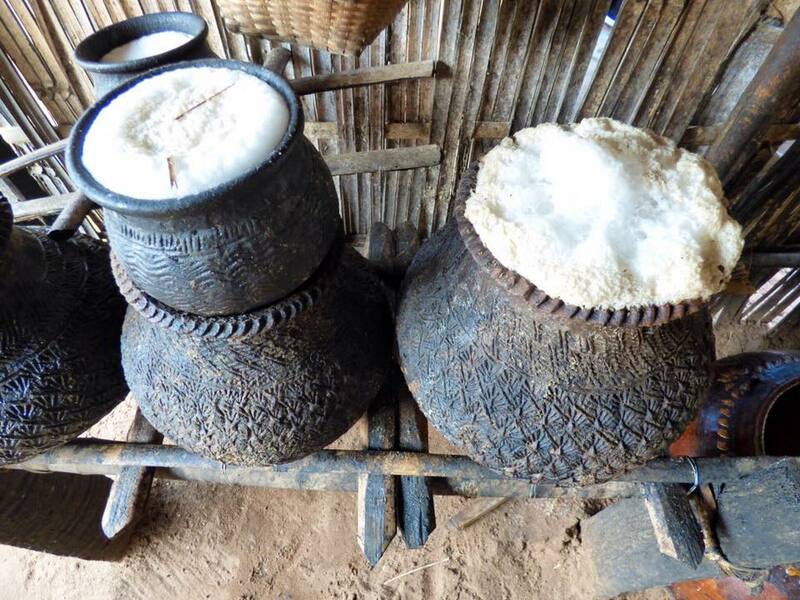 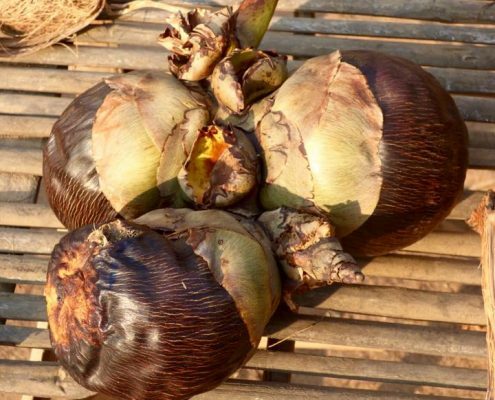 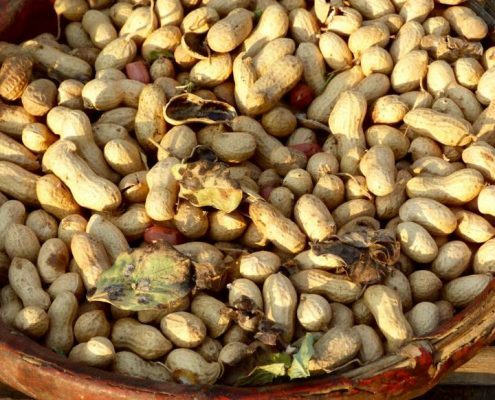 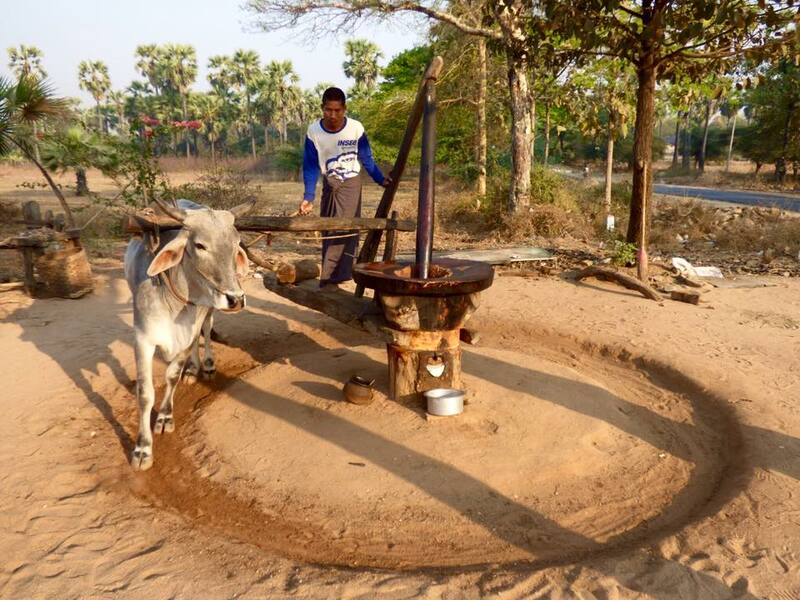 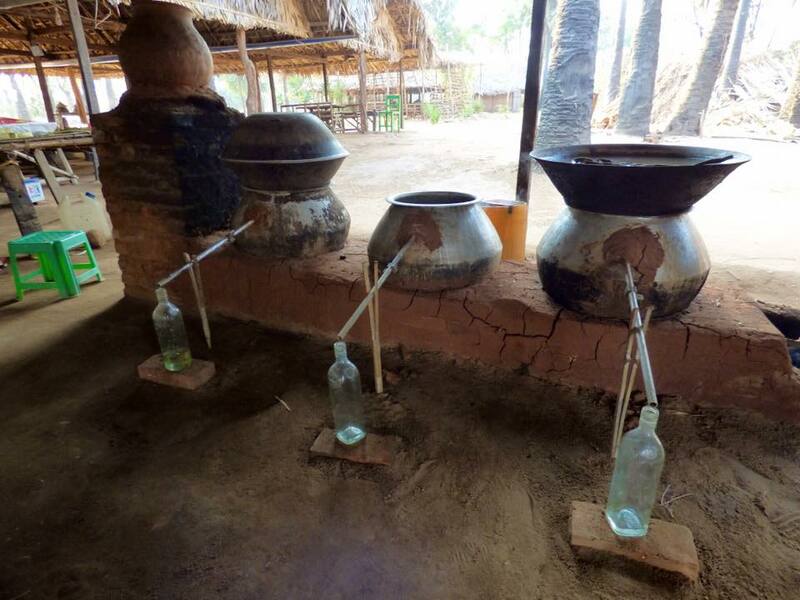 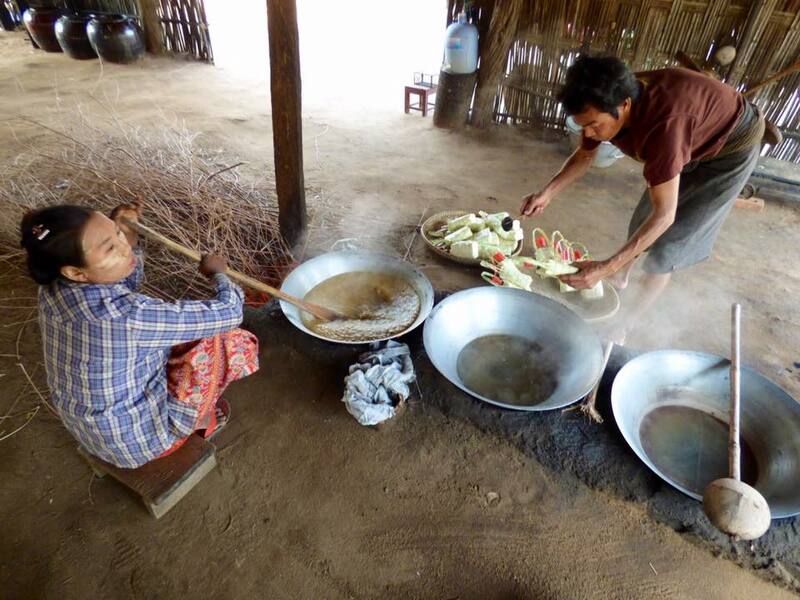 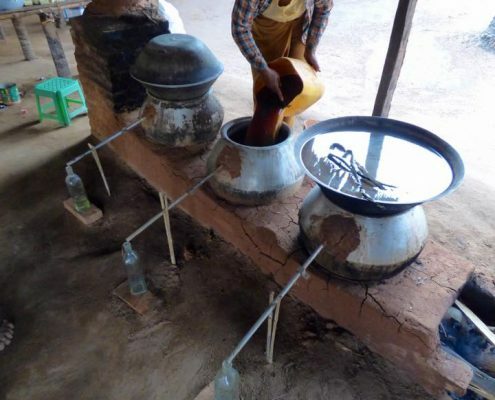 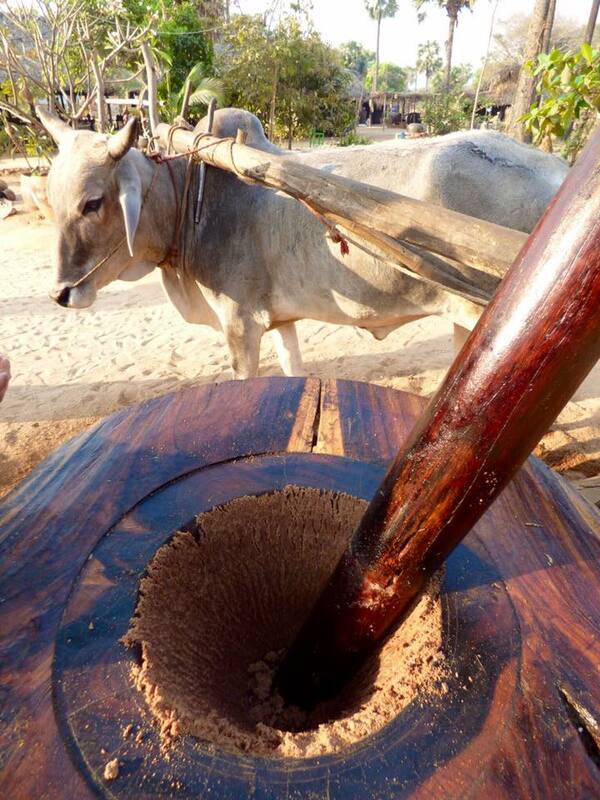 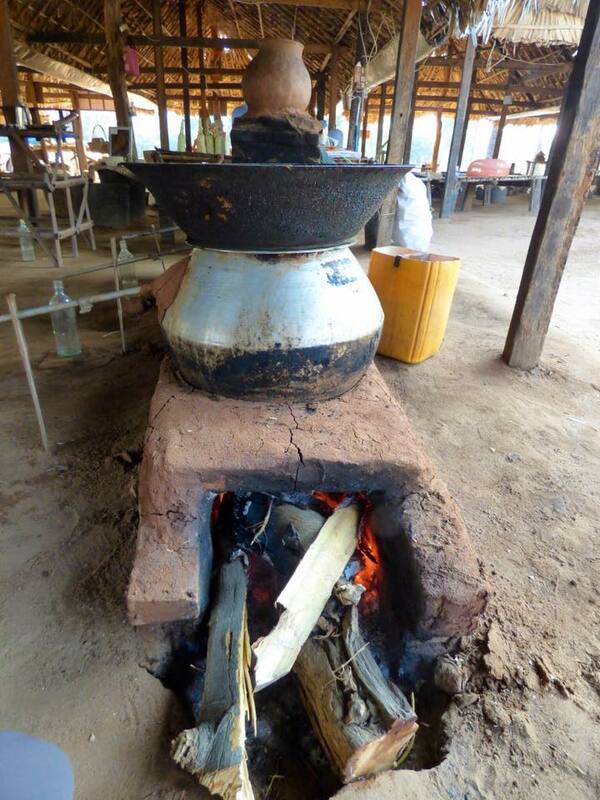 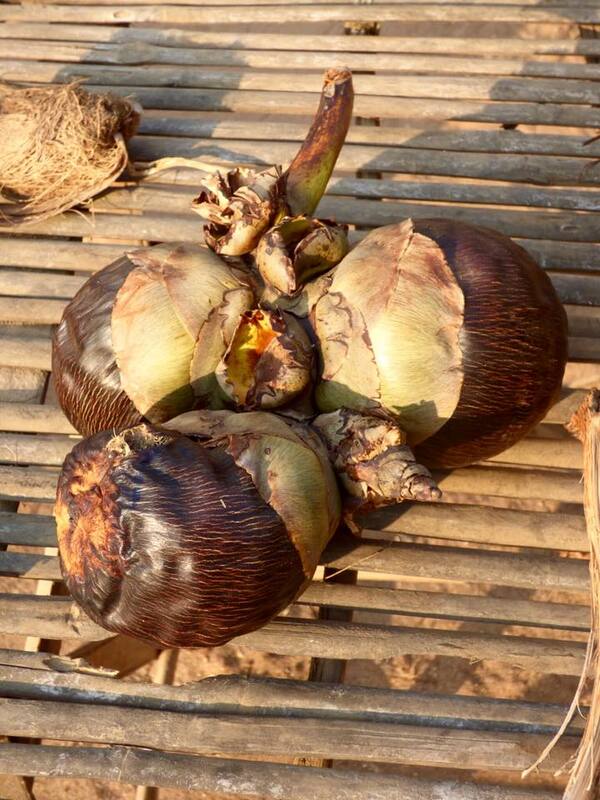 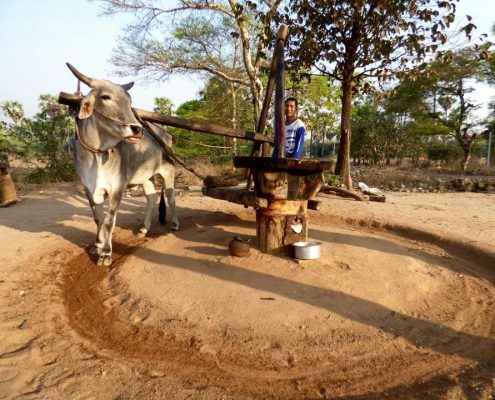 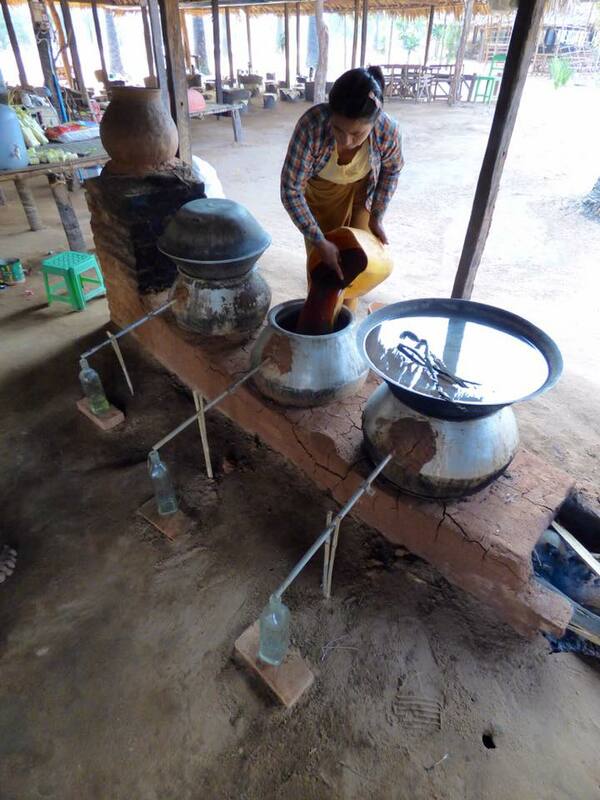 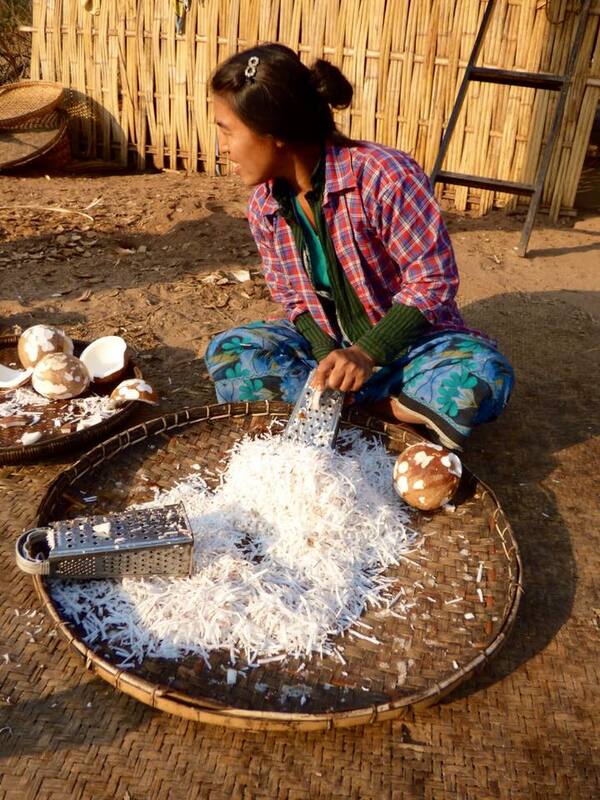 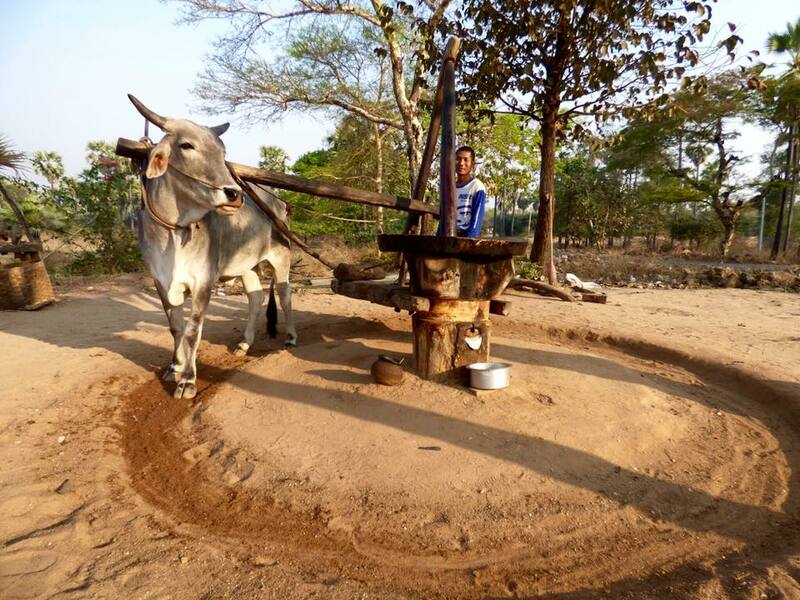 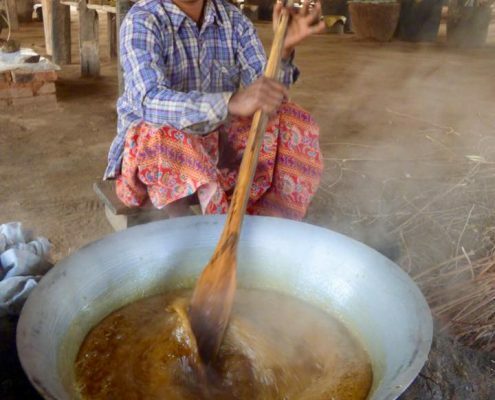 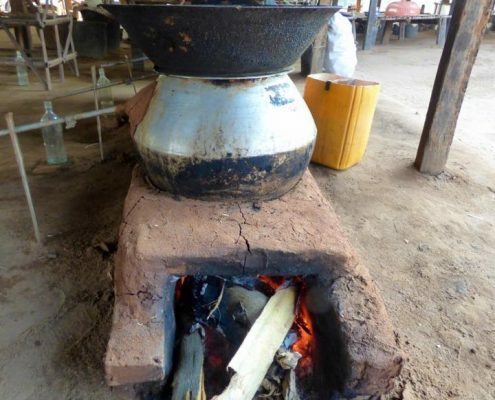 Bagan region is known for the local brew known as toddy palm wine and harder derivative liqueurs. 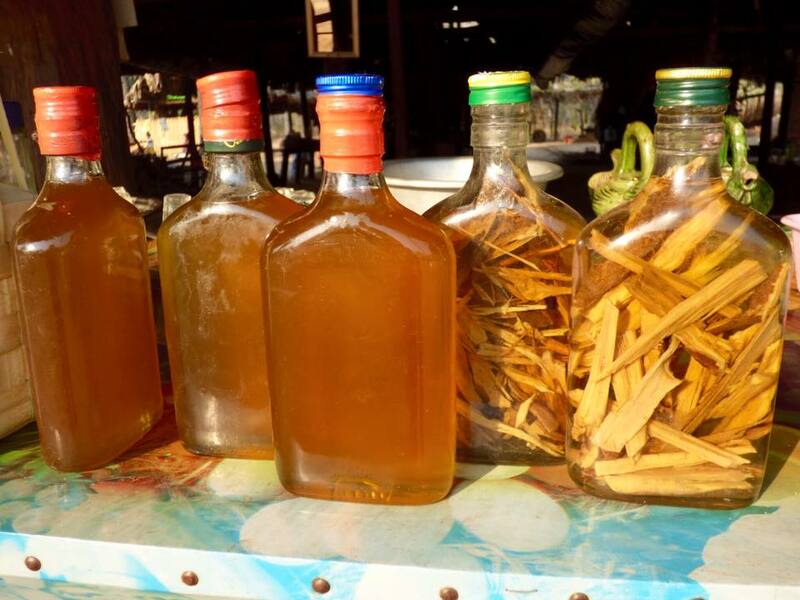 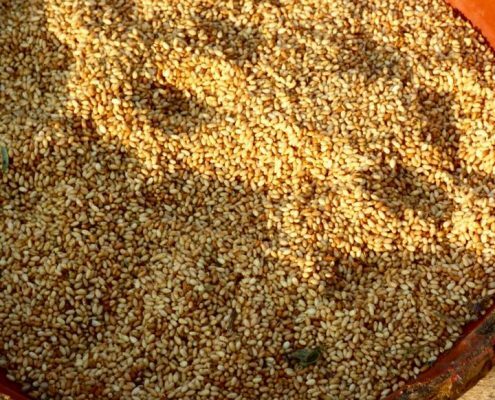 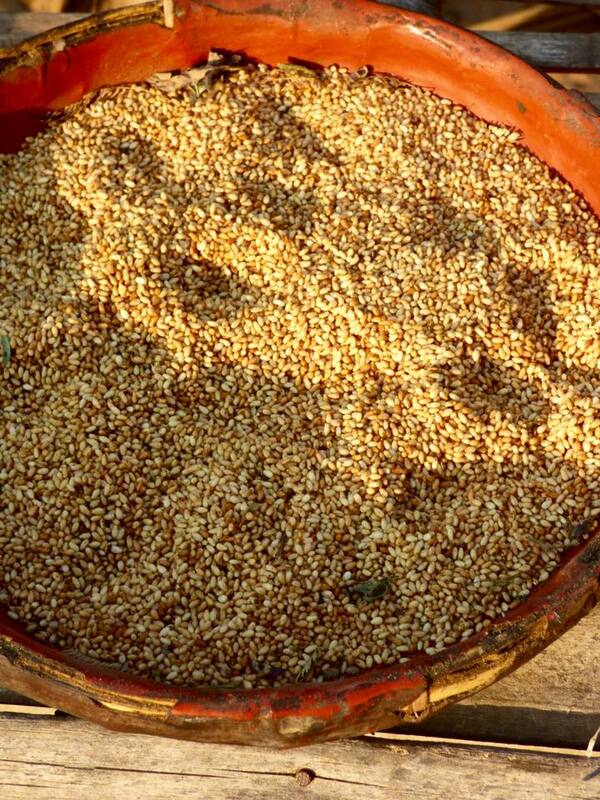 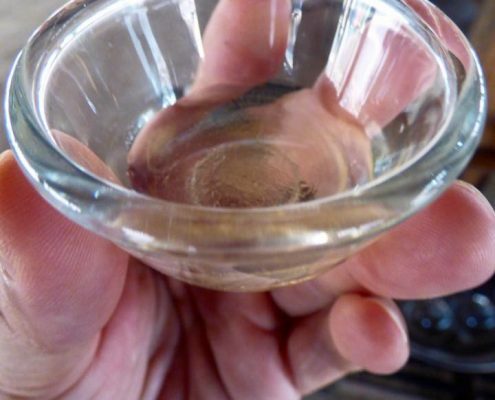 Palm fruits and sap, peanuts, and rice are mashed using buffalo operated grind wheels and then this stuff ferments in big jars and then gets distilled into a rather rough but potent clear-ish liquid that is often further mixed with honey to blunt the roughness. 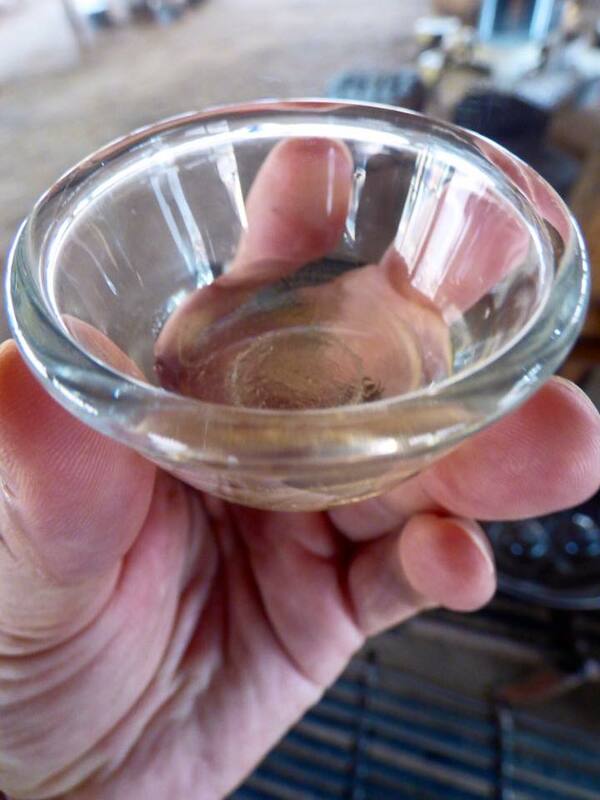 Goes well with temple exploration.